Grand-dam Eskara has produced, amongst others, the licensed stallion Sternenfänger OLD (by Sir Donnerhall), who is internationally successful. Oldenburg line 50/Egitta II (by Kanzler-Freigraf etc. 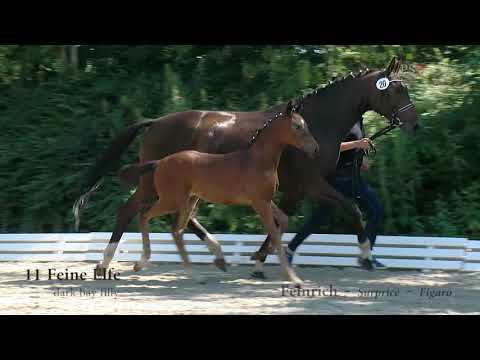 ), from which descend several licensed stallions, including the champions of their licensings D’Egalité, Don Deluxe and Impuls as well as the internationally successful dressage horses London Eye, Waldkanzler and Walzerfürstin.